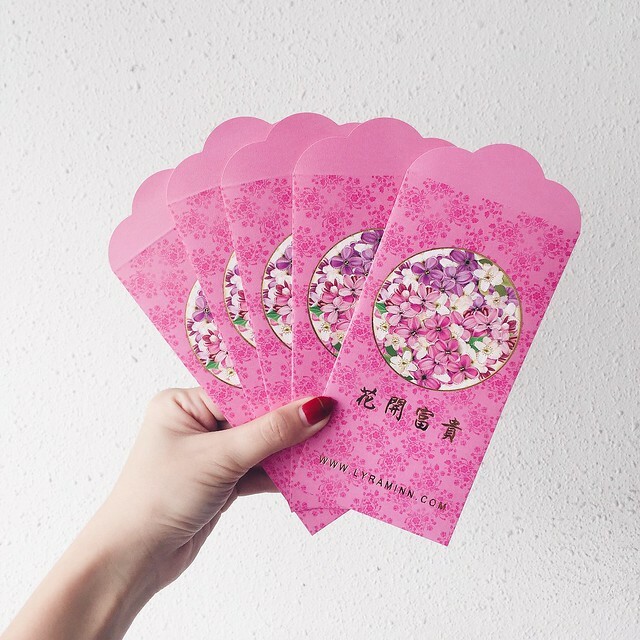 Love this year's angpow packets from www.lyraminn.com! Pink and florals, I like! CNY shopping this year is abit meh. Not sure if there weren't enough selections, or I'm not sure what's in trend right now, or I've just gotten too fat for everything. As usual I went to Bugis Street so that I can buy more with less buck, as compared to proper retail shops in malls, where $100 can only buy one $69.90 dress and one $29.90 top leh. No enough! At Bugis street I can buy perhaps 3-5 pieces? (Usually I'd mostly buy those that range $5-$10 but for CNY can spend abit more). The most expensive piece I bought for CNY this year was $33! I actually only intended to spend max $28 per outfit but I really liked that dress so I went back to pay for it. Also bought quite a number of $25 dresses (which I usually wouldn't anyhow buy afew at one go), and 5 pairs of black heels/sandals. Don't even dare to think about the decreasing digits in my bank account. Actually I already bought my CNY clothes on Saturday but came home and tried the clothes on and felt I look super fat in them so I went back for round two again. The designs at Bugis St is so repetitive this year, I scoured the entire three levels but the variety is probably only equivalent to half a level? There are afew designs which are available at almost every shop! I think many ppl will bump into ppl wearing the same dresses. Every year there is a distinct style that I like but this year there wasn't anything I particularly liked that was available! Nothing wowed me. Nothing I wore impressed me. Sian. I actually bought afew black plain work wear while shopping for cny. I don't even particularly like my all time favourite floral short dresses anymore. Am I old already or what? The day before 除夕 while thinking of what to have for dinner, I told bf I feel like eating steamboat. He looked at me wide-eyed and said, "are you serious? you're gonna have steamboat tomorrow already!" 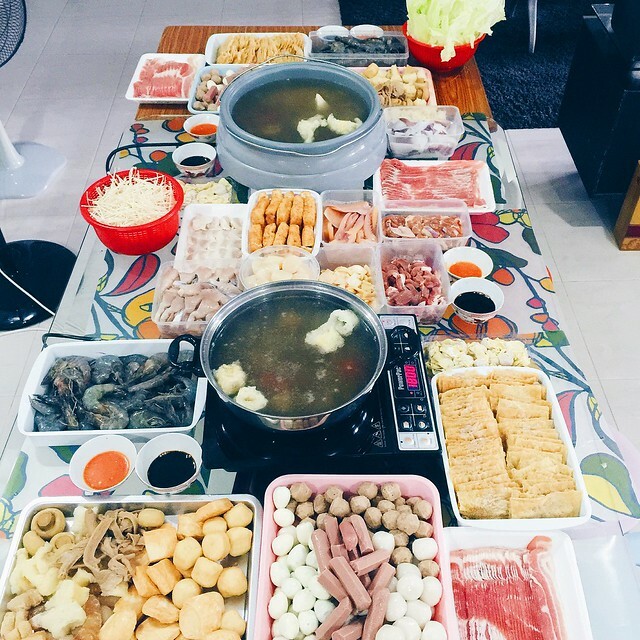 Our steamboat spread for 14 adults and 6 kids. We used to put the ingredients in individual small bowls but now clever already all mix in big trays. Easier to wash! Haha. Every family has their own type of steamboat and as u can see, our family love meat.... Very much. 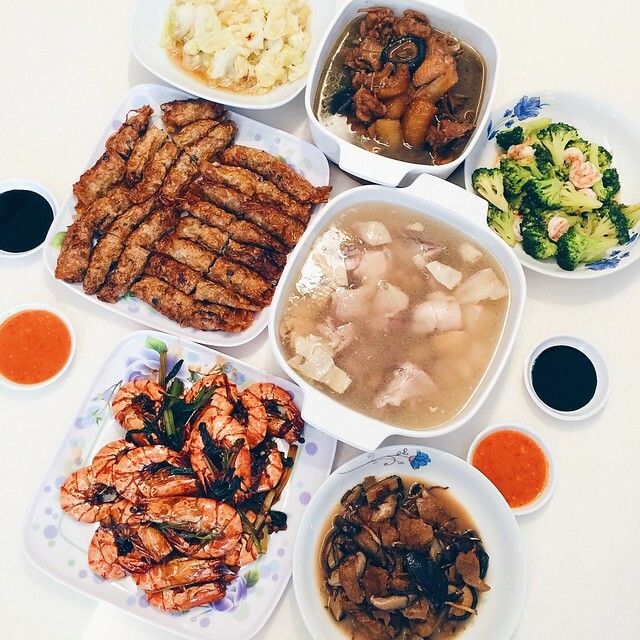 No need all those Yong tau foo stuff, just give us meat and seafood! The beancurd skin and taupok all filled with mum's marinated minced meat. 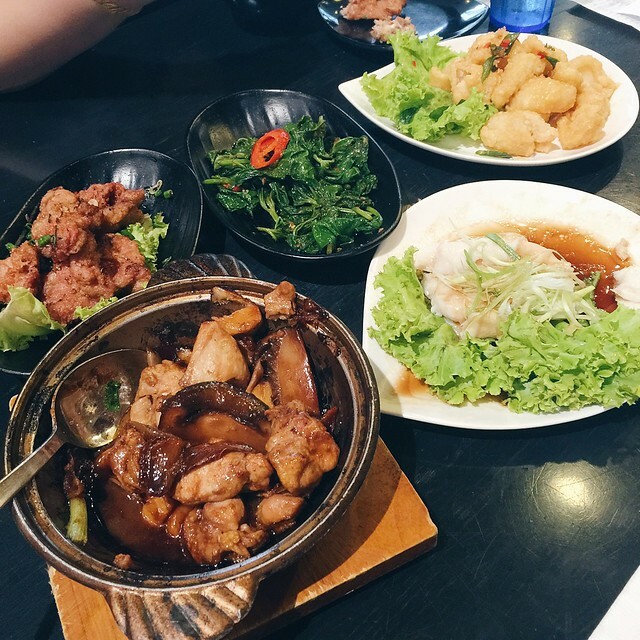 Always a hot favourite must-have steamboat dish. My fave steamboat dish is sliced abalone! I can just have that and lots of pork belly as my sole ingredients for steamboat. Haha. 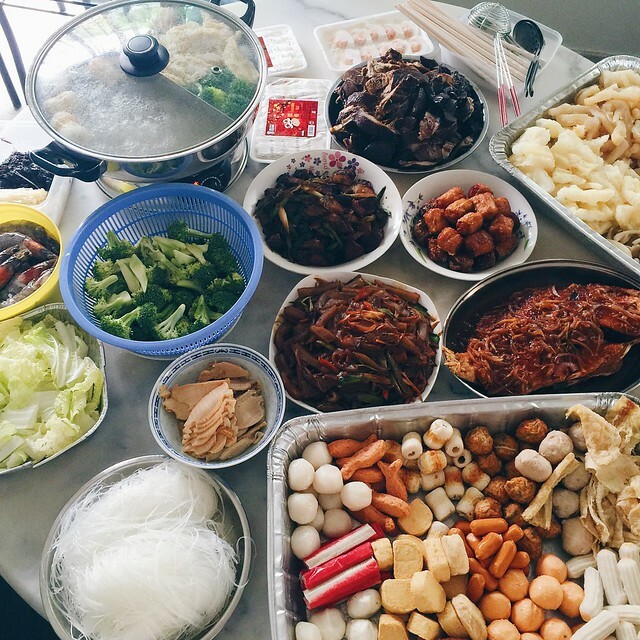 What's your favourite steamboat food? Had to rely on googling for the words to say for each ingredient but ended up we anyhow just said irrelevant auspicious idioms cos we couldn't catch up with the speed that mum was pouring the stuff in! Nevertheless it was all fun! We had abalone strips this year since we are all abit careful about raw fish due to the recent scare in Singapore. I miss my sashimi! But I like abalone too so it's a good excuse to have more. Hehe. Then we went to sleep and woke up for 大年初一! Thought I prepared everything but realize I forgot to cut the length of my new eyelashes so I had to use my old eyelashes because cannot use scissors on day one! End up my sister accidentally used scissors in the afternoon. Should have asked her to cut for me in the morning lo, since already gonna cut. Also forgot to change my broken phone case. Aiya! Family photo before we leave the house! 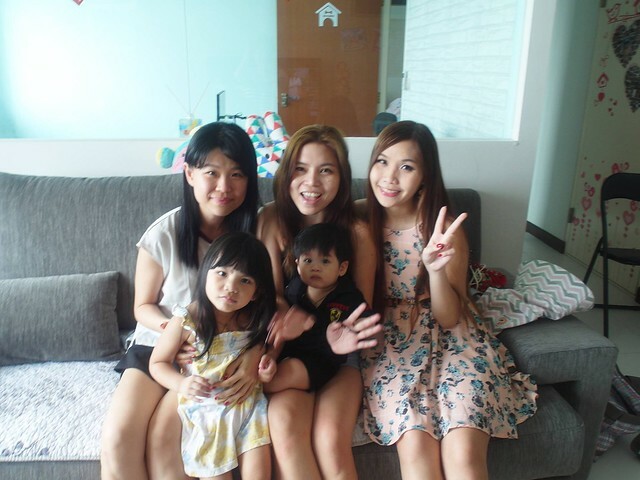 My pose is funny because both my mum and sis want to hide behind me and I'm trying to not look like a red dumpling. Decided to wear red so that can Huat all year! Haha. Got welcomed by the nice aroma of food from the kitchen when I arrived at uncle's house. First meal of the year was DELICIOUS. Immediately after that we took turns to try out uncle's body fat machine~ Was fun! Got motivated to monitor my diet but it lasted a mere hour cos I was busy snacking again soon after. Haha. 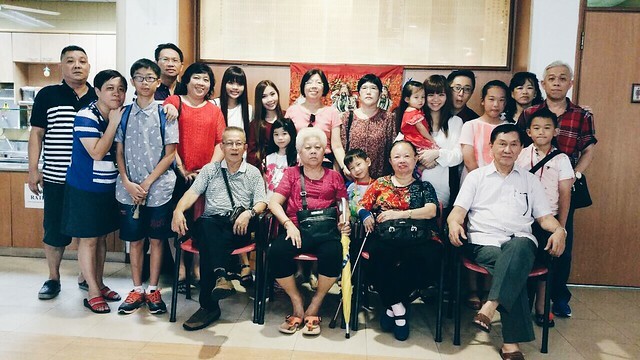 Afterwards we went to visit my maternal great-grandmother. Super funny cos everyone voted eagerly in favour of cabs over a 2 hour bus ride but the grandparents insisted so all of us occupied half the bus. 19 of us! We are like following a tour group. The bus journey took foreverrrrrr but we finally reached! 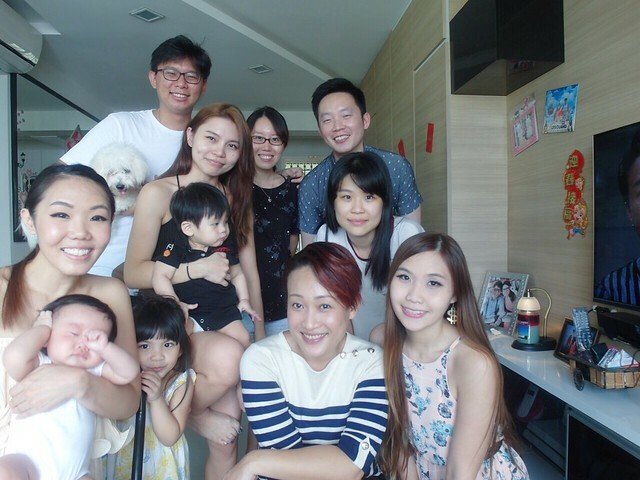 I'm the oldest grandchild so if I give birth soon, it'd be five generations and my child would get to have a great-great-grandmother. How cool, except that I'm not planning to have a child anytime soon. Haha. 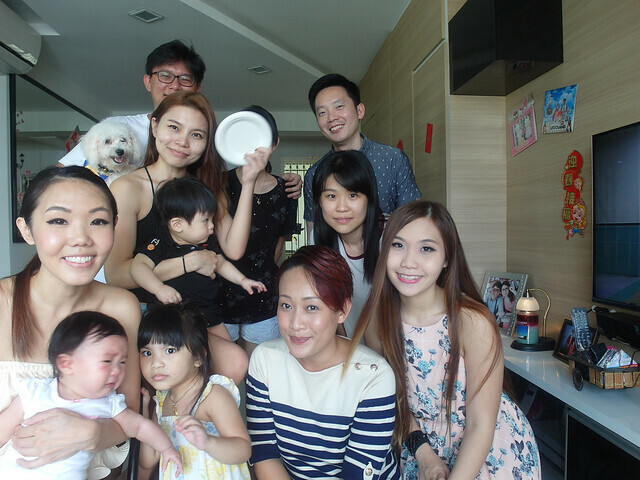 Plus my cousins are all still kids. Unless my sister suddenly get married before me? Haha. Am really lucky that I get to meet both my paternal great grandparents as well as my maternal great grand parent in my lifetime. Next time won't be so common already cos nowadays people marry late. 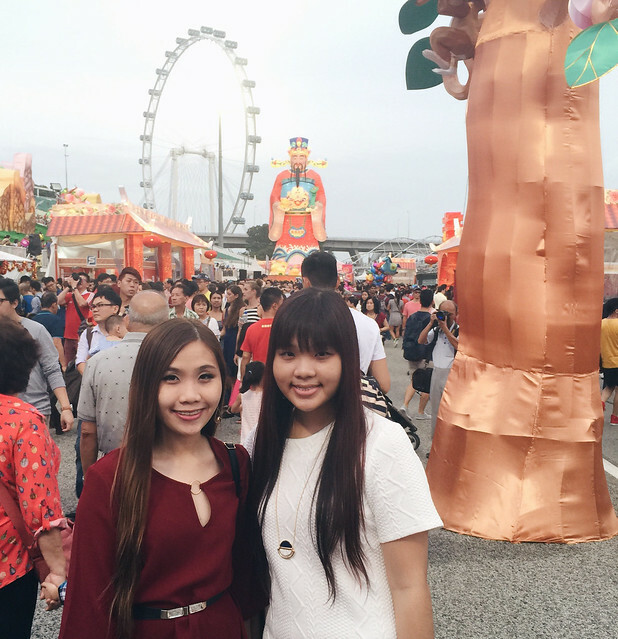 Next stop: River Hongbao. It was boring this year, and very very very crowded. Queued for a long time at the fried chicken stall at the food street but the queue took forever cos the helpers were taking their own sweet time. We gave up midway and bought noodles instead. After we finished eating and rested for the awhile, the guy infront of us was still in the queue! Gosh. 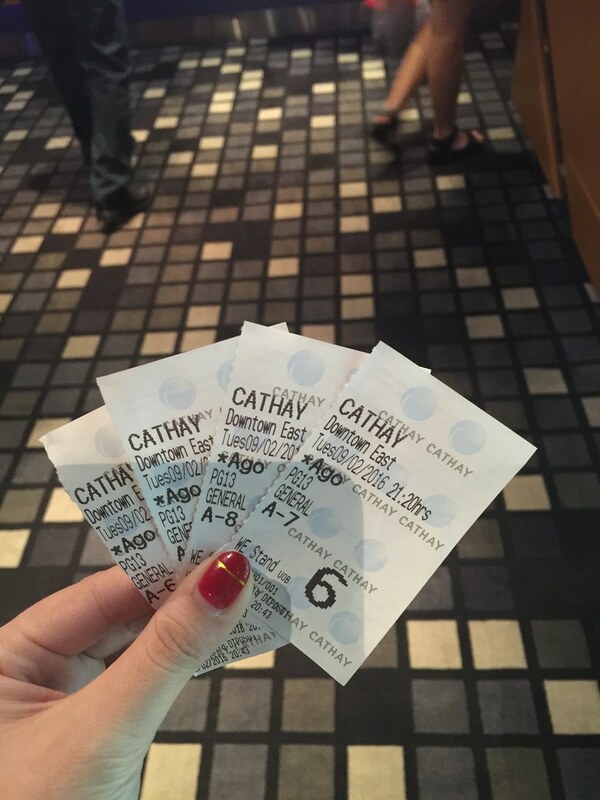 The day felt especially long but it's not about to end yet cos we booked late night movie tickets! 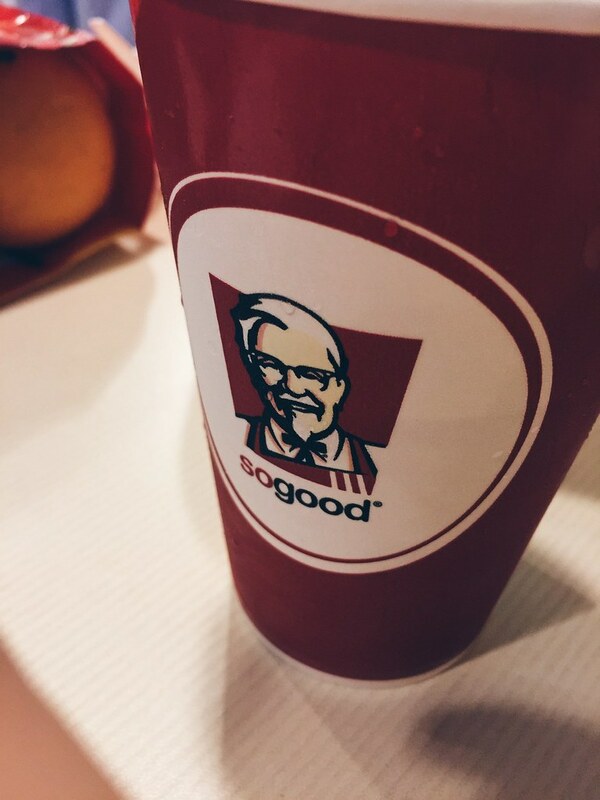 Hehe was craving for KFC and so happy because we had some fried chicken before the movie. Totally forgot about my body fat analysis done in the morning. 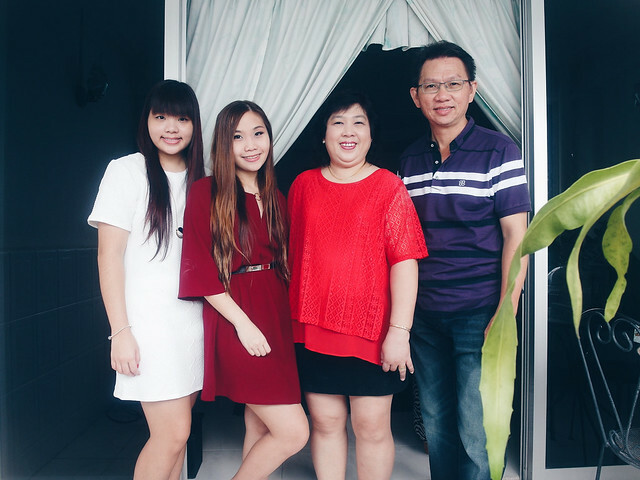 Fat jiu fat lah. 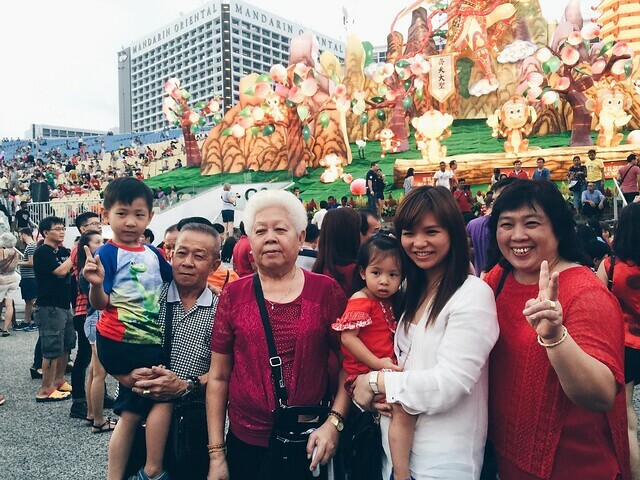 CNY over already then discuss again. Haha. Watched from Vegas to Macau 3. Funny but I feel that the first two movies were better, and had more meaning. This one was just outright comedy. Good for CNY though. We dropped by the coffee shop for drinks and supper before heading home. What a long day! 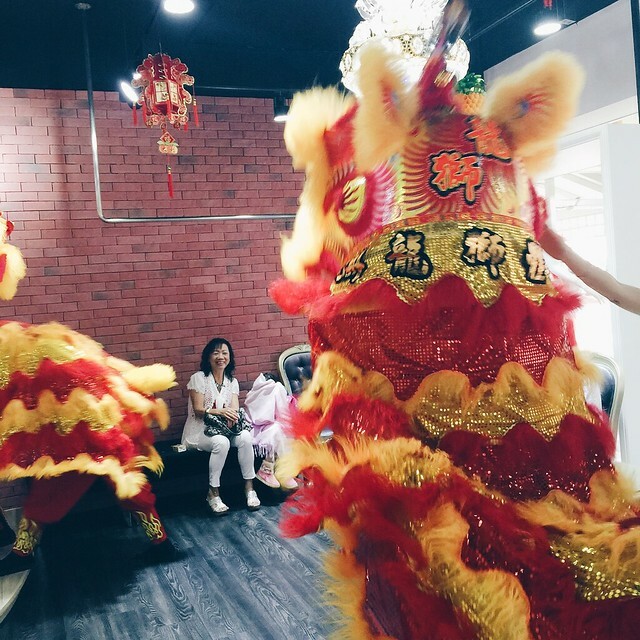 The next morning, bf came over to bainian and after that I went to his place~ his family have an annual tradition of hiring lion dance during CNY for a super huat year! Haha. The routine is always the same. 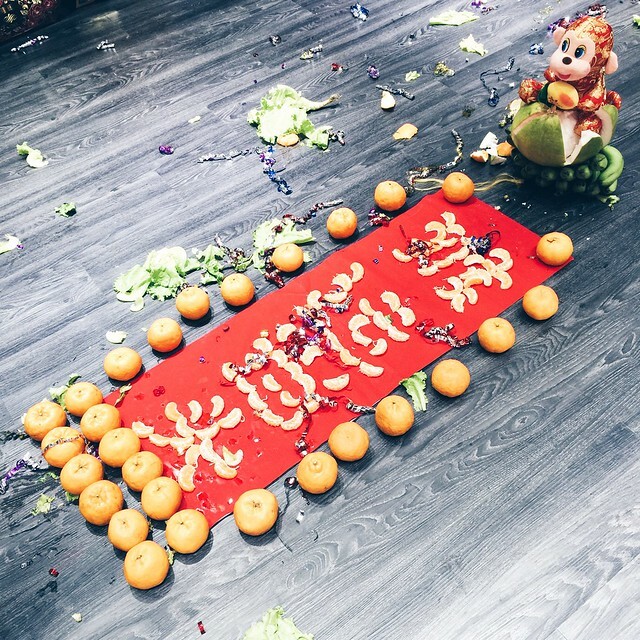 The dragon will turn round and round outside first, then after that the lion come in and huat the place, then proceeded by some orange peeling! 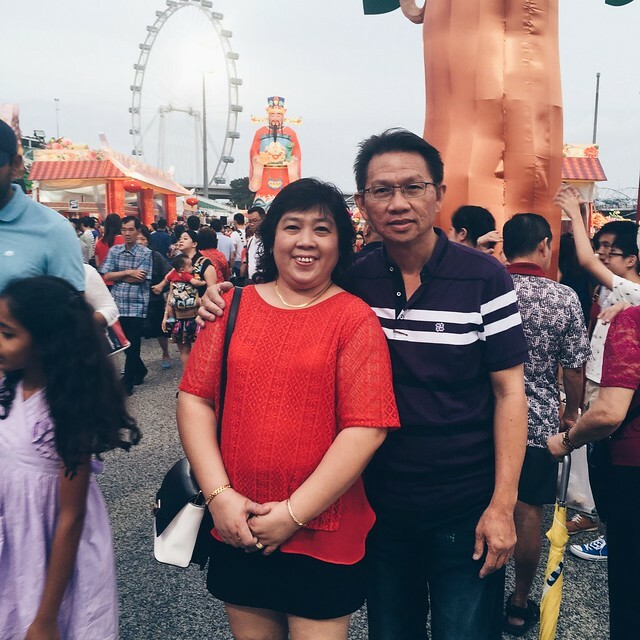 These year's huat words by the lions. Dropped by my aunt's place after that, and then to another relative's place. After that, dinner then movie time again! Hehe my fave CNY activity besides eating Bakkwa is watching CNY movies! Ootd for CNY day two! Wore white to look more angelic infront of bf's parents. Hahaha. Pass? Some Chinese food before our movie, "Long Long Time Ago"! Nice leh! Can't wait for part two! 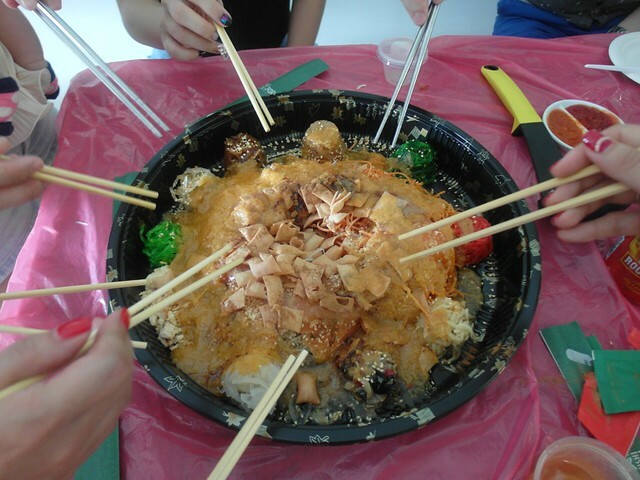 Steamboat and mahjong with the peeps before CNY end! 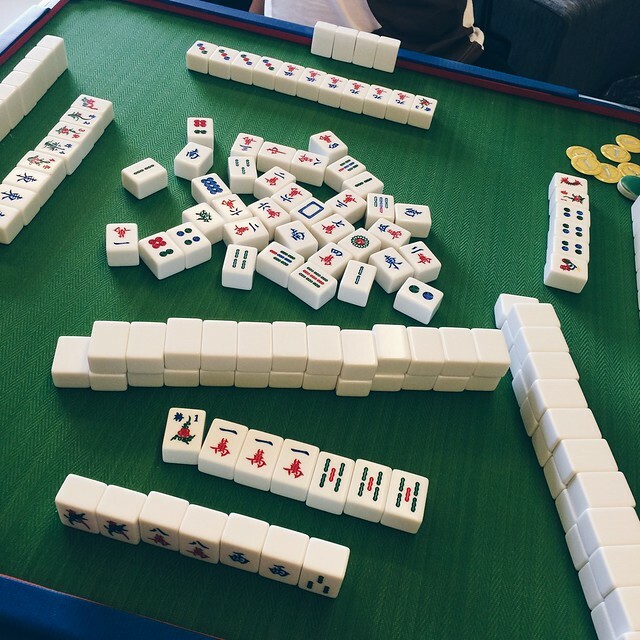 Mahjong is an awesome past time! I can play it for hours and hours and not get bored of it. I like how mind-stimulating it is, unlike blackjack where it is really just luck. Poker is fun too, but I think I like mahjong more. We usually only play 10 cent 20 cent, so our loss is less than $10. So worth it for hours of fun, as compared to $10 for 2 hours of entertainment at the movies, which is another one of my favourite thing to do. I have really cheap hobbies! Not like my boyfriend, he likes diving, which is expensive and kinda dangerous at the same time. Why can't he like milder things like watching movies? Or watching football? Or playing computer games? At least he'd be home with me instead of somewhere far away underwater. Worse thing is I can't swim and somehow I'm a little uncomfortable and afraid of the deep vast ocean, I don't think I can ever dive with him. Sad. 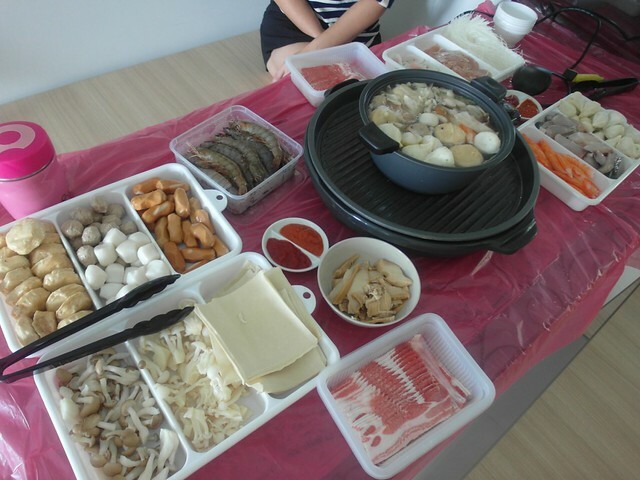 Steamboat prepared by Eugene! The soup is 真材实料 boiled with cabbage and pork bone! He told us he had to wake up early to prepare the soup and we were like, "huh? Not just pour into the pot and make hot only meh?" We were referring to the usual option of packet soup/ chicken stock powder soup. Haha. Really rare for people to make steamboat soup from scratch nowadays! 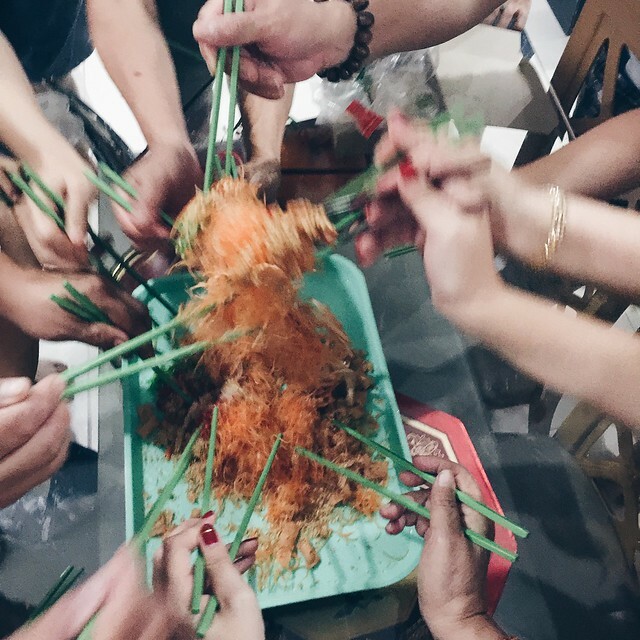 Our wishes while tossing the yusheng damn funny! Group pics! Three kids and a little puppy this year! Next year we have an additional kid! Gonna be so 热闹. Not easy to coordinate group pics when u have kids! 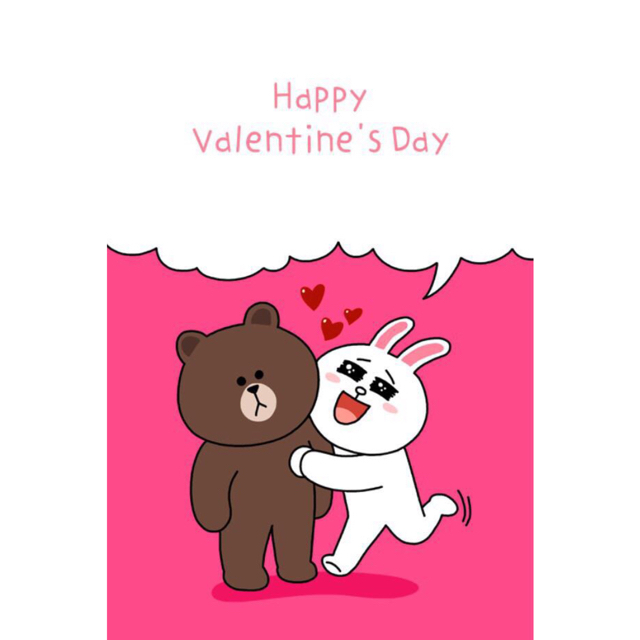 One day before the end of my CNY holiday was Valentines Day. This is totally bf and me. Him the grumps and me the annoying one. Hahahaha. This 啾啾妹 and 卡尔 damn cute!